Our selection of Greek statues gathers up the many gods, goddesses, heroes, monsters, and creatures of Greek history, legend, and mythology. 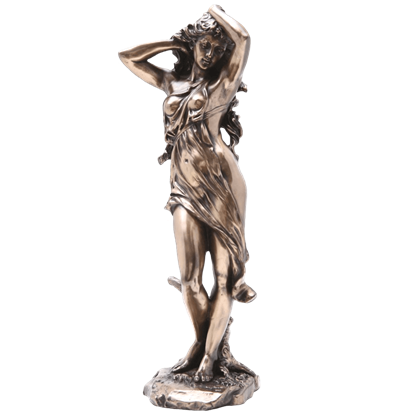 Finely detailed and painted or accented by hand, we offer an incredible range of Greek sculptures and statues here, many featuring antique bronze tones that result in a stately accent that will suit any home. If you find yourself captivated by the tales of ancient Greece, then our Greek statues are certainly a sight to see. 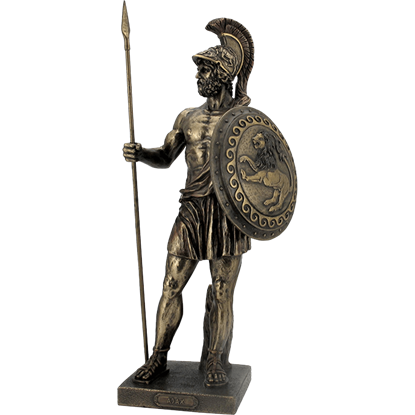 We offer Greek Titan statues as well as statues of many of the most famous gods, like Zeus, Hades, Aphrodite, and Athena, as well as some Greek deities you might not yet know. We also offer Greek statues that depict the mythical beings, like centaurs, gorgons, the Minotaur, Pegasus, and more. This is the place to find all the high quality statues that will bring the stories of ancient Greece to life. The most notable warrior of the Trojan War and the hero from the Iliad, Achilles was virtually indestructible except, of course, for his heel. 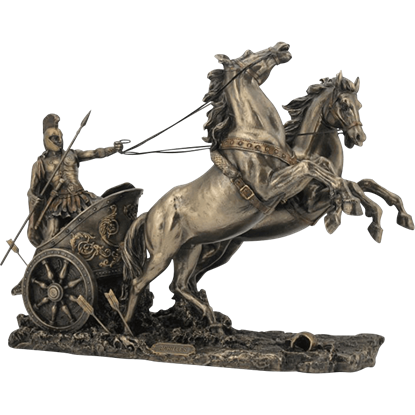 Capture the iconic soldier as he rides into battle with the Achilles with Chariot Statue. 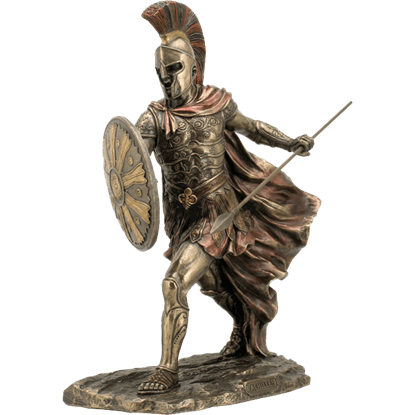 Capture the greatest fighter of the Trojan War with the Achilles with Spear Statue. Crafted from cold cast bronze, this statue can be paired with a Hector Statue (WU-1331) to create an epic mythological battle scene. Ally of Achilles and Odysseus, Ajax fought Hector to a draw and was one of the greatest warriors in the Trojan War. 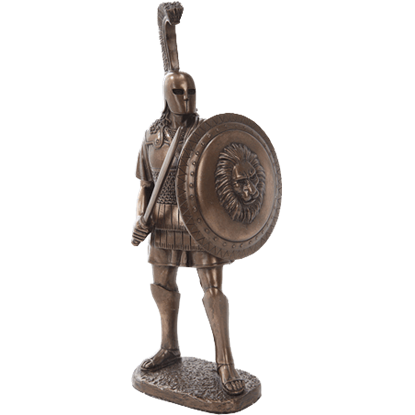 Ajax stands proud and noble in the striking design of our cold cast bronze Ajax Statue. Alexander the Great was a man of action who conquered the known world. 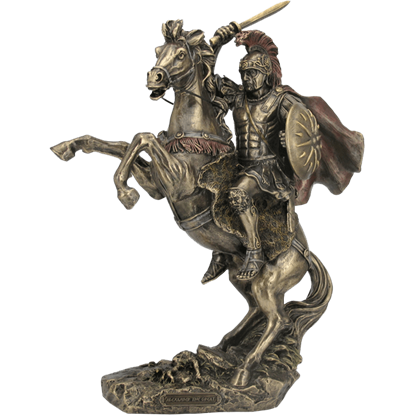 Take home inspiration with the Alexander and Bucephalus Statue. 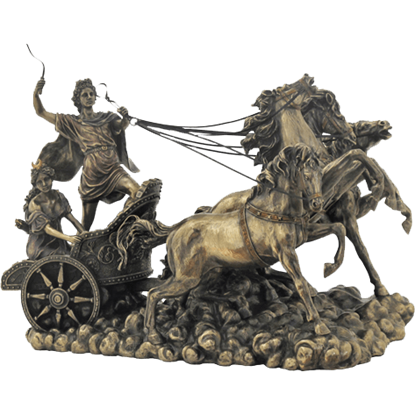 This statue depicts Alexander on his horse as they ride into the midst of battle. Alexander the Great amassed one of the largest empires of the ancient world, conquering from Greece through Egypt and modern day Pakistan. The Alexander the Great Statue depicts this undefeated ruler in his armor. When the Greek gods toppled the Titans, they divided the realms among the three most powerful brothers. 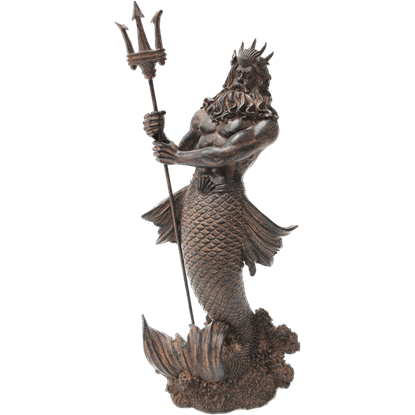 The god Poseidon, who was given domain over the sea, has been artistically rendered in the Antiqued Poseidon Statue. It is a recorded phenomenon that the presence of an object can influence how a person acts and perceives themselves. 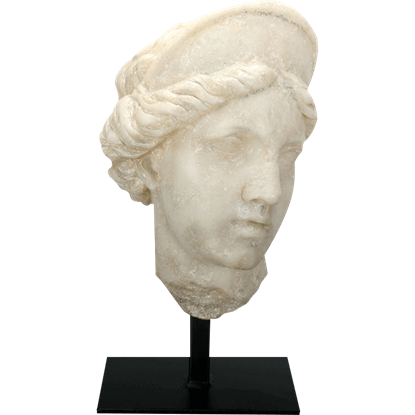 Why not feel the power of the Greek goddess of love with an Aphrodite Bust sitting in your foyer or hall? Famous for her beauty, Aphrodite is the Greek goddess of love. 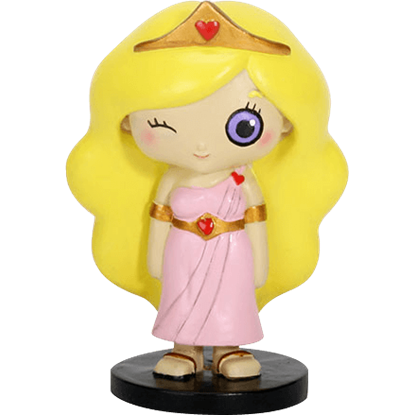 The Aphrodite Mini Greek Statue depicts this ancient Greek deity in an adorable miniature style, made of high quality cold cast resin and hand painted in fun colors. As the Greek goddess of love, desire, and beauty, Aphrodite was seen as the most beautiful and desirable woman in existence. Here, the Aphrodite Statue captures the idea that among the goddesses, none were as beautiful as Aphrodite. A Grecian goddess of love and beauty, Aphrodite was the subject of many artistic pieces, including paintings and sculptures. 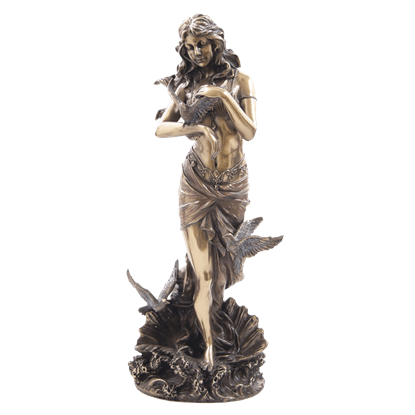 This Aphrodite With Doves Standing on Sea Shell Statue is a statue that represents this goddess quite well. Capture two classic mythological characters as they ride their chariot through the skies with the Apollo and Artemis Statue. 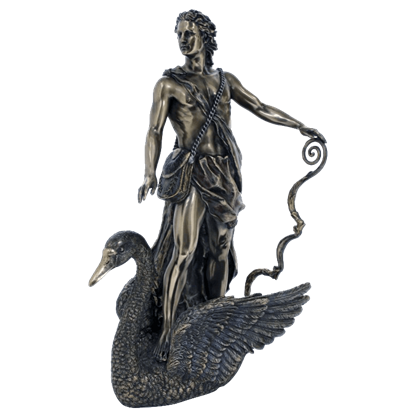 This statue is made from cold cast bronze and depicts these mythological figures in stunning detail. The son of Zeus and Leto and twin brother to Artemis, Apollo is one of the most important and diverse of the Olympian deities. The Apollo Profile Statue depicts the Greek god in stunning, hand painted detail on cold cast bronze.